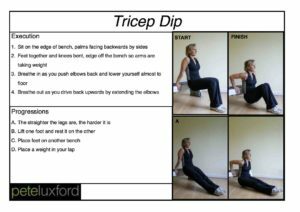 Click image for advice on how to perform a tricep dip. 60 dips, 1:40 plank – tomorrow will be interesting! ….and stretch.